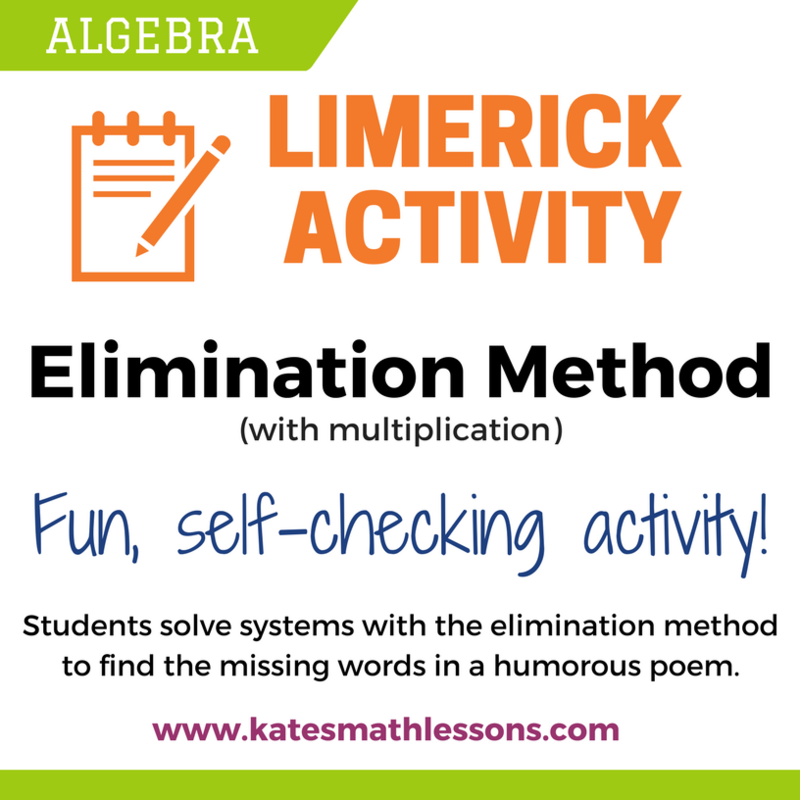 If you're new to elimination, you may want to check out the Elimination Level 1 lesson first for some simpler problems. 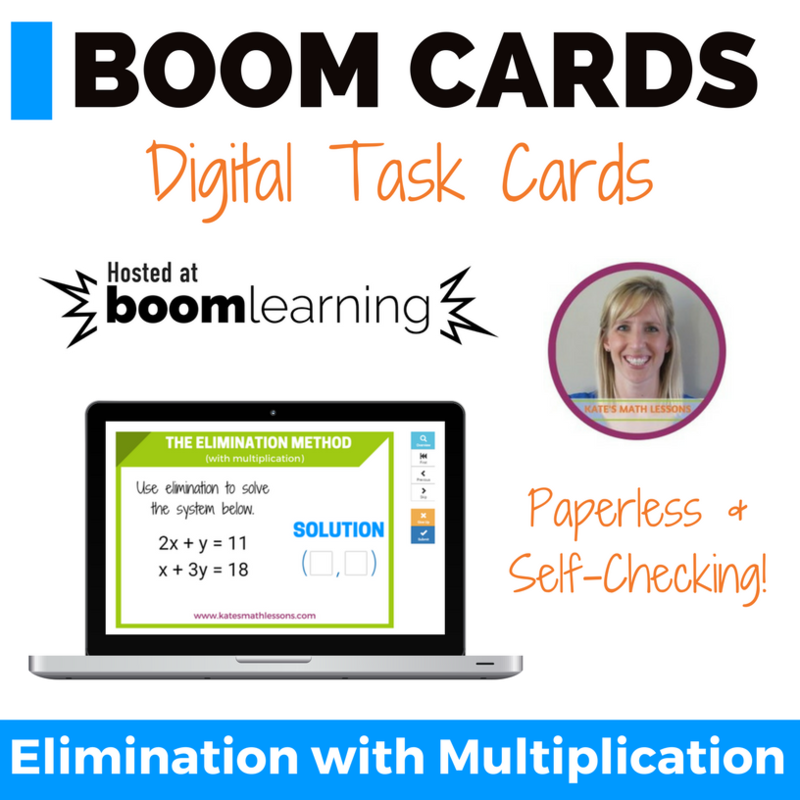 The goal with the elimination method is to get one of the variables to cancel out when you add the two equations together. 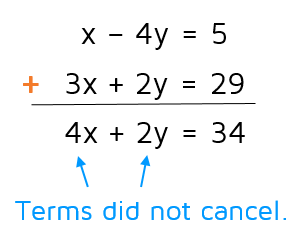 In the Level 1 lesson, either the x's or the y's canceled when we added the equations. For example, if you add the two equations below the x terms will cancel because you have a positive 3x and a negative 3x. In the system above, the x's cancel and we're left with an equation that's pretty easy to solve for y. 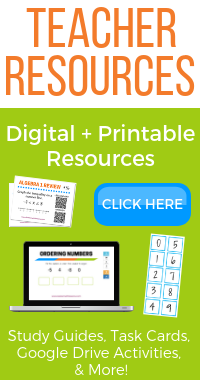 (Check out the Level 1 Elimination Lesson to see an example.) Unfortunately, this doesn't happen every time. ​You might get a system that's a little more complicated. Take a look at the system below. If we add the two equations, we still have both variables left. This is a problem we'll have to fix. ​Go to the next page to see what to do when this happens.